A gold picture frame with a metal leaf finish, featuring a dramatically sloped profile and gray patina accents. 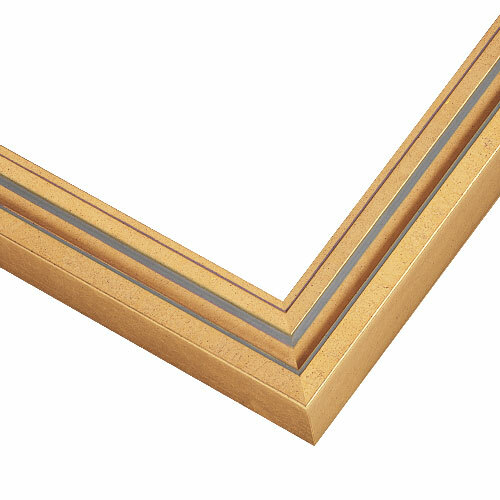 This frame is ideal for fine art, vintage photography, portraits and more. For this clearance item, we cannot provide samples, returns or exchanges. This content will load shortly. 2.Enhance Your Artwork. Add a Mat. Most mats are 4 Ply. PM25703 is 8 Ply. Mat Border Width: 1 1/2"1 3/4"2"2 1/4"2 1/2"2 3/4"3"3 1/4"3 1/2"3 3/4"4"4 1/4"4 1/2"4 3/4"5"
3.Complete My Frame With an Acrylic Front & Foamcore Backing. Can't Decide? Frame and Mat Samples Available. Did You Know You can create custom wall decor with this frame? We found 179 result(s) for your search terms.